Yes, it's that time of year, time for everyone to bring their library books back! It is even more important that your child brings them back as soon as possible due to our library getting remodeled this summer. Please bring or pay for any missing books by Friday, May 20th. Thank you! Congratulations to the 2015-16 Top Ten AR Stars! Our students who placed 11th-20th get a special lunch reward with goodie bags in a little over a week. I can't wait to show you what we got for them! 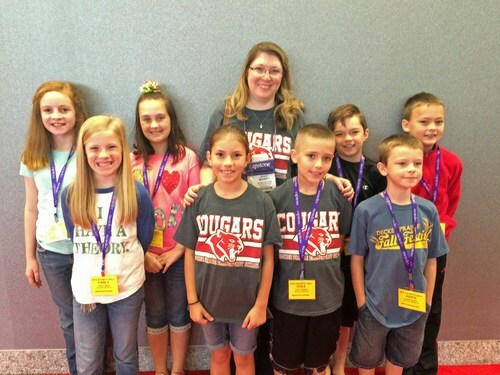 I am so proud of not only these students, but all of our DPES readers! Kindergarten practiced a hard skill: visualizing poetry. I read the poem "Green Giant" by Jack Prelutsky. When I was finished, I had them color a page of what they visualized their giant to look like. I then used an app called Chromville (a free app for Apple or Android devices) to bring their giant to life. You should have seen their faces when I did this! They giggled as their giant twirled and waved at them and thought it was magic! 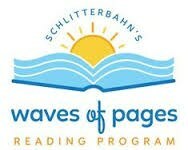 Don't forget that your child's top portion of their March Reading Logs are due by this Thursday for them to qualify for a free ticket to Schlitterbahn Galveston (valid during the summertime). Your child needs a total of 600 minutes logged on their Reading Logs between the months of January- March 24th to earn their free ticket. Let me know if you would like to know if your child earned their free ticket or if you would like to know how close they are. Extra Reading Logs can be downloaded by clicking the "Reading Logs" link on this page. Mr. Chris Barton's books are available to purchase at our book fair so that your child can get their book personalized when he visits next week (our visiting author). I cannot wait to see you at our book fair! Read Across America Week is Coming! I am so excited about all the things that will be happening at DPES! I've attached a flier of how each day next week your child has the option of dressing to celebrate Read Across America Week. What will your child wear next Friday as their favorite book character? I can't wait to see! 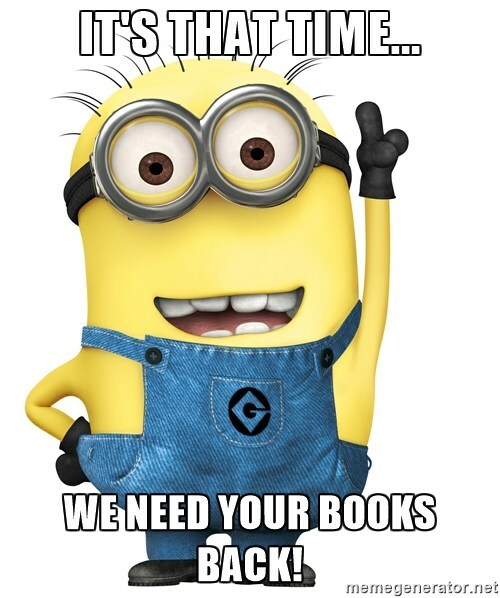 If your child needs help in finding a book to go with their favorite character, please let me know by this Friday before the library closes (to set up for next week's book fair). Stay tuned to my site to hear all the other exciting things going on at DPES. As always, if you have any questions, please do not hesitate to ask! This past week I read the book Blizzard by John Rocco to our kindergarten and 1st graders. Having snow is one thing many of our kids here have not seen, but a blizzard is even more foreign to most of them. When I asked the kids if they would like to experience a blizzard, most shouted "YES!" But, after I showed them this video (the skeleton is modeling their size) and read the book, most then changed their minds. It gave them a deeper understanding of what people up north are currently experiencing. Don't forget tomorrow, January 28th is Math and Science Night at Decker Prairie! It is a come-and-go evening from 6:00-7:30 pm. I hope I see you all there! Bowling in the library??? Yes!!! 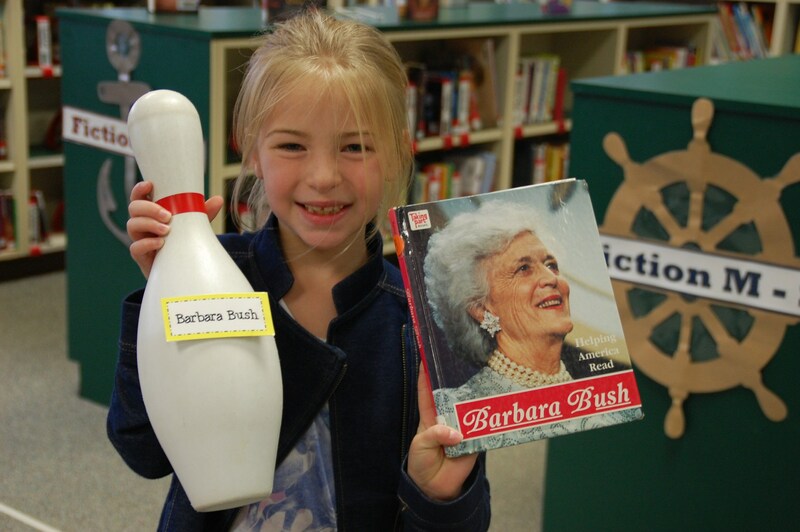 This week, third graders had a library lesson called "Bowling for Biographies." They learned how to locate a biography in a fun and quick way. Be sure to ask your third grader all about it. 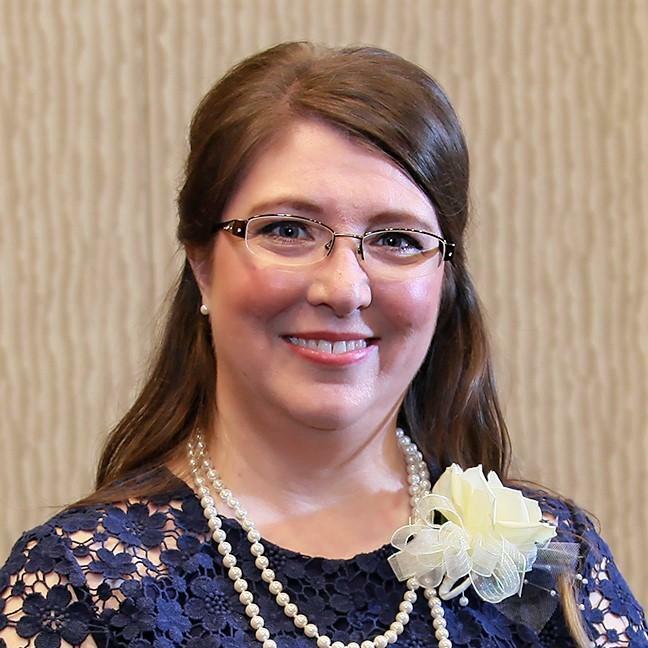 Also, congratulations to our new teacher Ms. Ortiz in winning our competition by earning 11 points for Mrs. Lane's homeroom! Our Fall Book Fair was a big success! Thank you to all the parents, family members, students, and staff for supporting our library's book fair! We met our goal, and will be able to get many new and updated resources for our school library for everyone to use. I would also like to thank all of the parents who came by and helped set up, write wish lists, helped students with shopping, and who helped pack up. I couldn't have done it without you all. I would like your opinion for our other book fair that will occur in March. 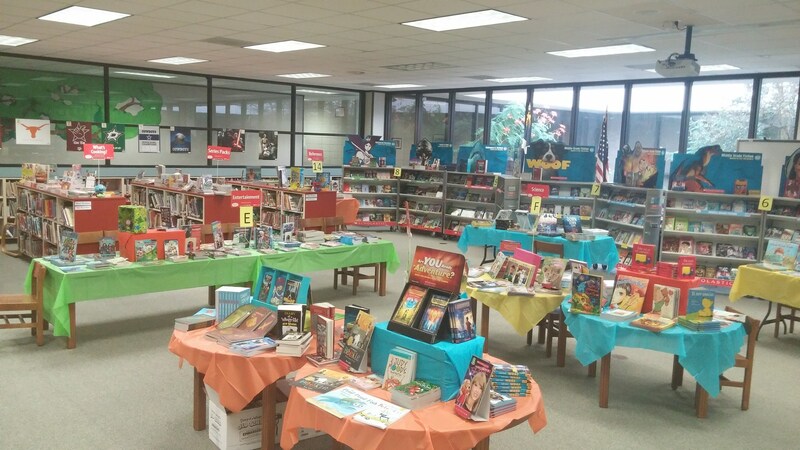 Following this post is a link to a survey asking your opinion about our next book fair. Anyone may submit a response. Once again, thank you to everyone for making this book fair a big success! What is Coming to Our Book Fair? 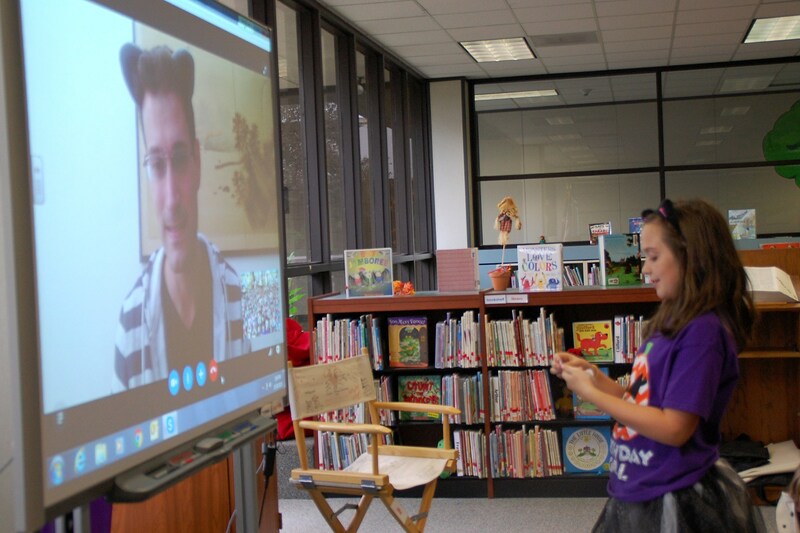 Last week, our 3rd and 4th graders enjoyed a Skype author visit from Mr. C. Alexander London. He discussed with us his new book The Wild Ones. 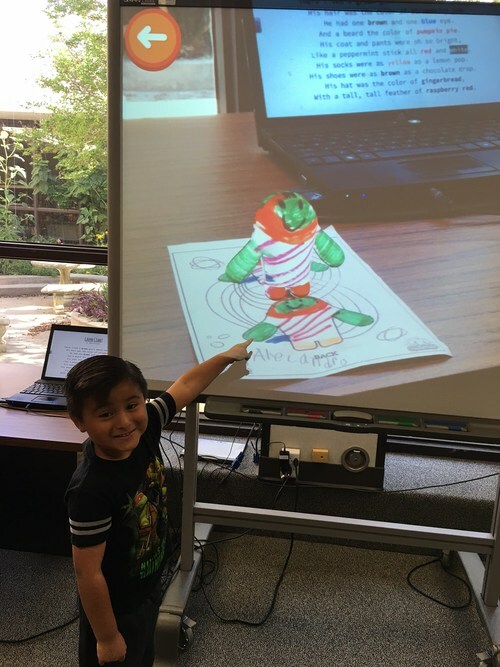 The students learned interesting things such as how he came up with the name for his book, where his story's ideas came from, what the phrase "howl to snap" in the book means, and what it is like to be an author. We even got a glimpse of his home in New York and got to wave to his sleepy pet dog. Many of our students wore animal ears to show they were "wild ones" too, and several students were selected to ask Mr. London questions they came up with. The picture above shows Haley asking Mr. London where he got the inspiration for his book from. I loved his main message to our students: "Dream, and don't ever give up on your dream. Keep working to make it happen." Thank you Mr. London for a great virtual visit with our students! Parents we need your input! Speak Up is a national survey from Project Tomorrow in which you can give valuable input about our school's technology, science, and math instruction. Your survey will help us in making improvements in these areas and are confidential. There is also a contest for the school who has the most participation, so please help us out! Open the flier above by clicking on the title, and then click on the survey's link. Thank you for your involvement!